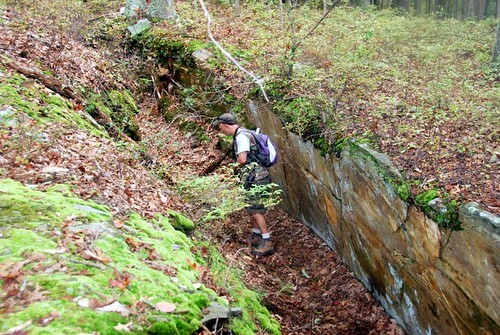 Below I am exploring the Quarry Trench. This is the site where alledgedly the Union and the Confederate armies met prior to the Second Battle of Bull Run. It was a strategic blunder on the Yankees part. Had they been successsful in tying up the the Rebel army Second Battle of Bull Run might not have occured. 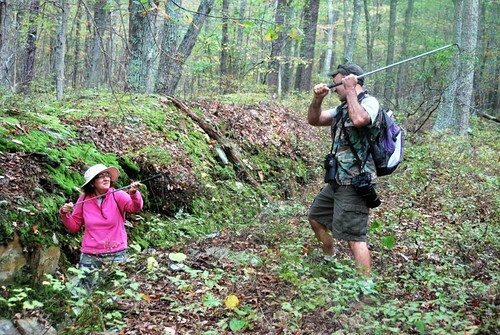 Below: Andrea and I, each with snake hooks and taking a break for the camera demonstrate what it must have been like between the federal and rebel armies August 1862 as they battled for control over the Thoroughfare Gap. Quarry Trench shown here is apparently where a significant part of the fighting took place. 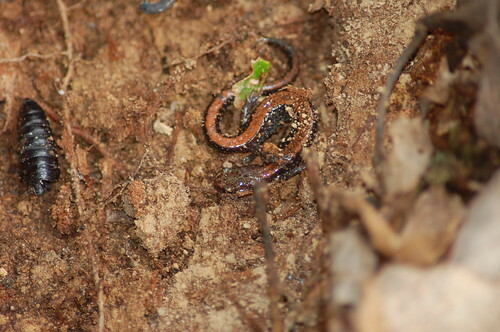 Above Plethodon salamander (Red Phase) This one was found at 800 feet elevation. 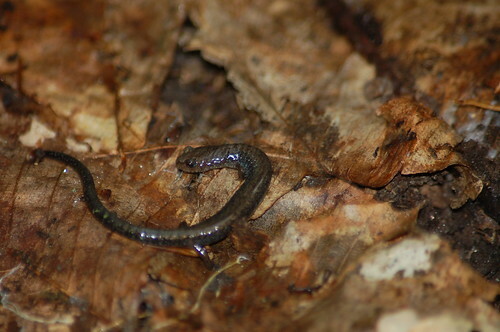 These salamanders do not depend on water as part of a two stage life cycle that most sals and amphibians require. Instead they lay eggs under logs. Full development takes place in the egg and the young when “hatched” resemble minature adults. We set out this morning in hopes of finding and observing a Timber Rattle Snake alongthe far eastern edge of the higher elevations of the Piedomont known as Bull Run Mountain. My friends Mike, his wife Andrea and Iarrived around 9:30 am. This trail rose to an elevation of approximately 1200 feet and ran along the ” mountain ridge.” This is where we began to look in and around the south and west facing outcroppings of rocks and crevices for any snakes that might be sunning themselves. 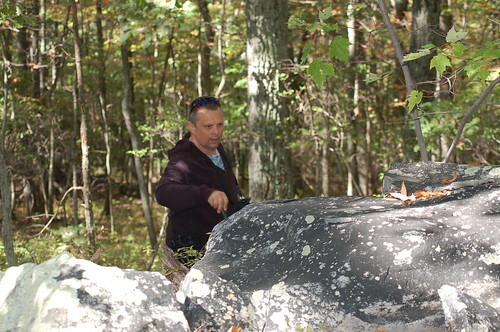 On our way up we flipped some logs and rocks looking for any other herps. 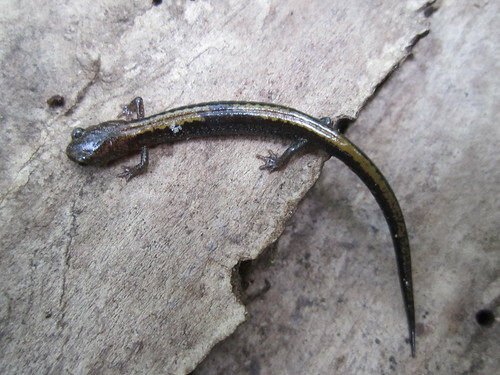 We did find at around 800 feet elevation a Plethodon (Red Back Salamander the red morph) salamander. No snakes. Heading down towards the base of the mountain we stumbled upon Catlett Branch, a small creek that seemd to originate from the side ofthe mountain. We stopped along here to check for more herps. Nothing. I am guessing that a lot of the animals were displaced from the heavy rains remnant of Tropical storms that innundated our region several days before. 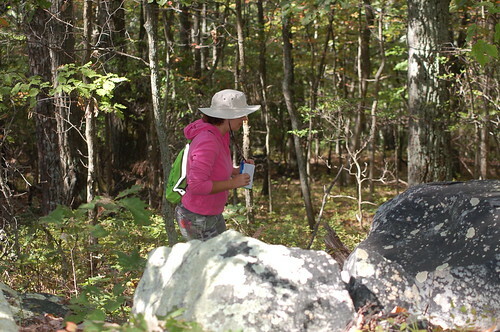 Further down at around 400 ft elevation we did find several more Plethodons. This time they were either in their gray form or”yellow” see pics.